It’s a problem that’s all too common among entrepreneurs. You can have the greatest product in the world, but that doesn’t mean it will sell. The only thing that makes a product sell successfully is a product launch plan, and one of the most important parts of a product launch plan is the product launch emails. Used as a way of heralding the arrival of your new product, business, or service, product launch emails should be persuasive in nature. They’re not only there to inform your customers about your new product, but they’re also there to convince them that your product is something that they need to buy no matter what the product, whether you’re selling digital files or outdoor patio furniture. Below is Ryan Nangle’s product launch email for his new Pixel Sorting Plugin Packs. A good example of a product launch email, it’s simple and to the point, providing actionable links and eye-catching screenshots of his product in motion. Check out Ryan’s Sellfy profile by clicking HERE. Product launch emails may seem simple, but there’s a lot that goes on behind the scenes to make them successful. If you think you can just put together an email, send it off to your mailing list, and watch the money roll in, think again. Even the best product launch emails won’t be very effective if you’re not sending them out to the right audience. Known as segmentation, this allows you to divide your mailing list into different categories such as customers who have bought from you before, customers who subscribed through a certain ad, or customers who have only window-shopped on your website. Once you’ve segmented your mailing list, you’ll be able to send much more effective emails. You’ll be able to use this information to observe what audiences react well to what emails and then customize your emails from there, resulting in a much more effective launch campaign. Typically the precursor to the actual product launch, the survey email focuses on info gathering. By attaching a survey to your email, you can gather valuable information from your mailing or interest lists such as key demographics about your potential customers, their likes, and their dislikes. Not only do they offer a gift to 25 lucky winners, but they also take the time to tell their readers what their mission is and why they do what they do, further encouraging subscribers with similar values to take part in their survey. They keep it nice and simple by telling the reader what they’re offering and then giving it to them! Now that’s how you build great relationships with your customers. Remember how we talked about segmenting your mailing list? The interest list email is a good way to sort your master list into various segmented lists that will help you decide who you should be sending what emails to. Many people make the mistake of trying to make a sale in the interest email. Don’t think of it as a way to sell your products–instead, think of it as a way to gauge your customer’s interest in your products. You can use these emails to discover what type of people your subscribers are and what they might be interested in, then use that information further on in your product launch to deliver personalized emails to each segmented list. 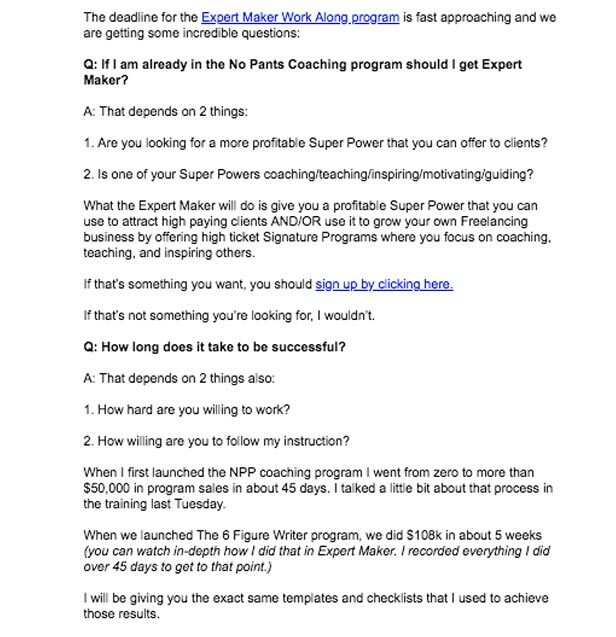 Take a look at this snippet from an email sent out by Jorden Roper, gauging interest for her Killer Cold Emailing course. 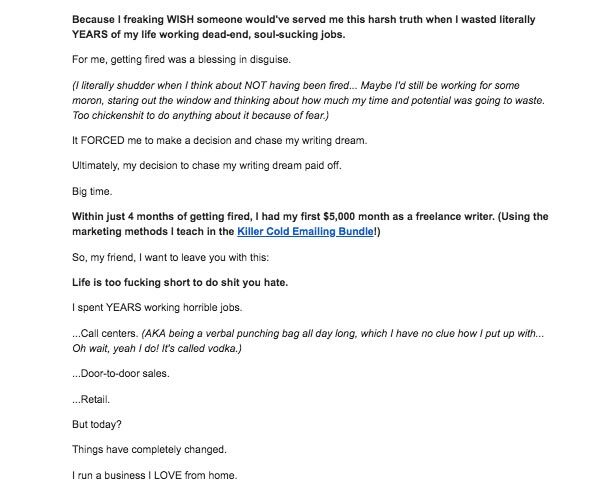 You’ll notice that she mentions her course in the email–this is fine, as long as you’re not pushing your readers to buy. The important thing is to write an email that will help you gauge how interested your customers are in what you’re saying. Anticipation emails are all about the, well, anticipation. Their purpose is to hype up your product in the reader’s eyes until they’re raring to buy your inventory. All of the best companies are guilty of this–Nike, Samsung, Nintendo, etc., and they all use the same tactic; they create a story. Take a look at the email below. 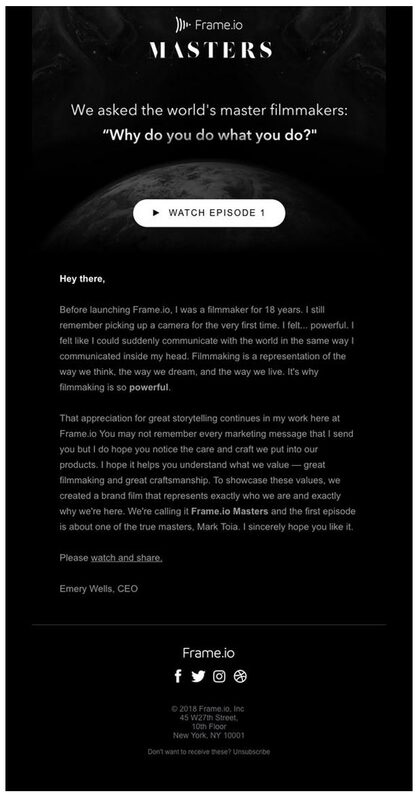 With the launch of his business, Frame.io, Emery Wells sent out a launch email detailing his journey as a filmmaker and how he went from there to launch his new business. The Offer Email is where you make the sale. If all of your emails up until this point have been effective, then you’ll be set up for success, but you’ll also need to make sure that you design an effective Offer Email. Effective Offer Emails utilize successful sales techniques such as selling benefits, offering limited time offers, or offering exclusive offers to certain segments of customers. 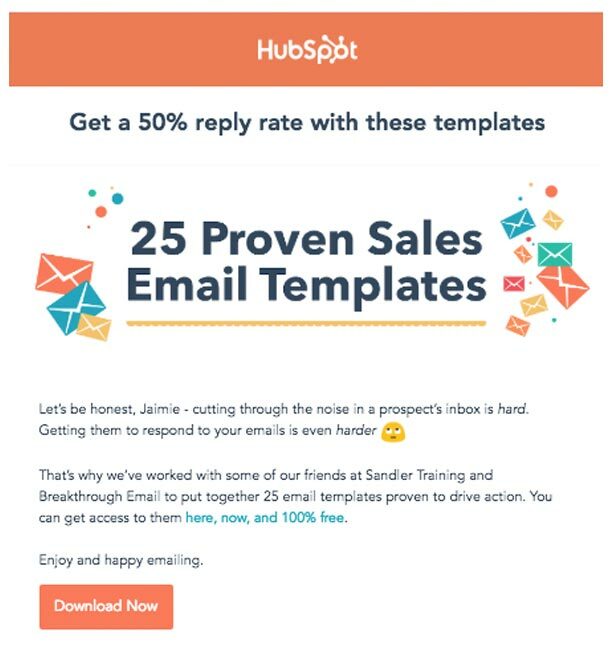 Choose sales techniques that fit your business model and then mold them into an Offer Email for each segment of your mailing list. 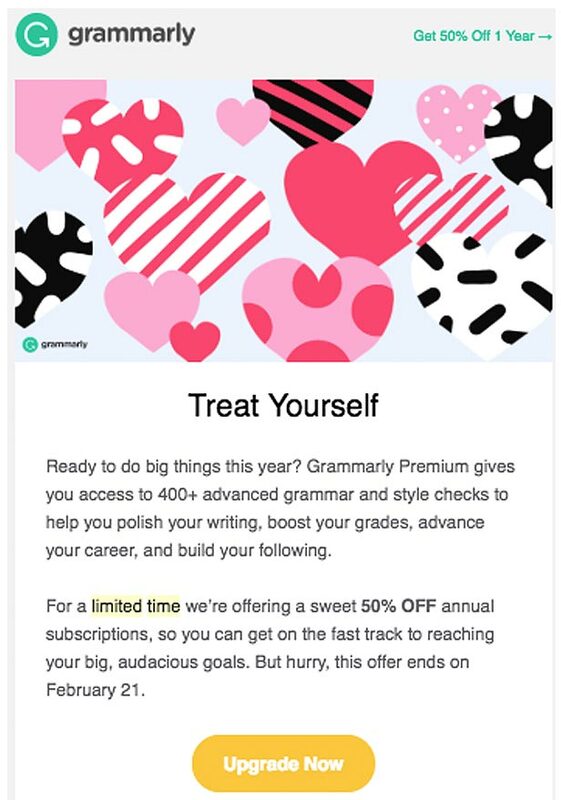 Take a look at this email from Grammarly. As far as Offer Emails go, this is a fantastic example–it utilizes classic sales techniques such as focusing on benefits over features, offering a limited time discount, and including an easy to see a call to action button. They provide social clout: By sending out a Common Questions Email, it gives off the impression that you have plenty of customers asking you questions. It could encourage customers who might otherwise be hesitant about buying your product by leading them to believe you do a lot of business, even if you don’t. They answer questions: Customers don’t like being kept in the dark. By answering their questions, you build trust and a relationship with your customers. They free up your time and resources: How many emails do you get asking the same question, over and over again? By answering your customer’s questions right off the bat, you can free up your customer service team’s time for other tasks. He includes links for customers who are interested. He answers each question thoroughly. He’s charming and answers each question with personality. Congratulations, you’ve made it to the end of your product launch campaign! The Closing Email is used as a tool to remind your customers that your product is still out there and that if there are any discounts or limited time offers, they’re coming to an end. 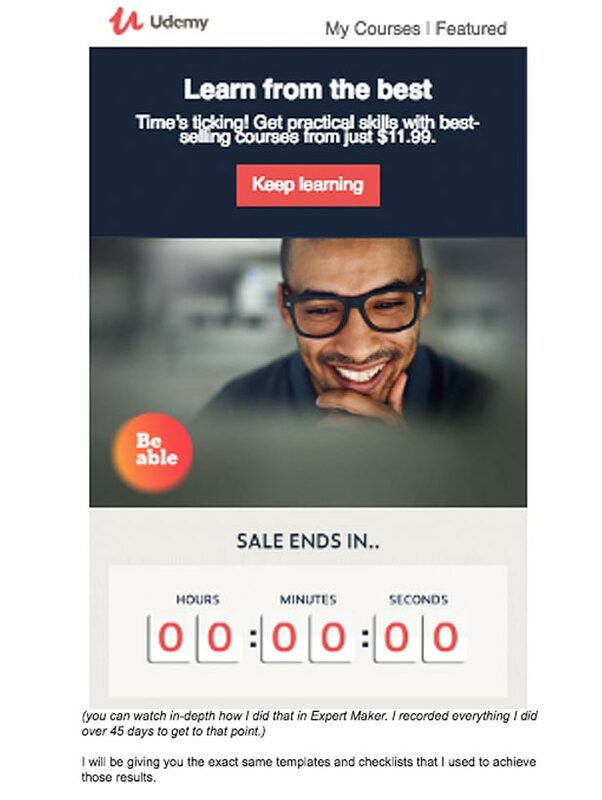 Udemy offers a great example of a Closing Email. They provide a timer counting down the time until their sale ends, so customers feel motivated to buy. They also include a motivating picture, noticeable call to action button, and a reminder of their original sale. Keep in mind when planning out your product launch that every step is as important as the next. With every email you create, remember that it can either help or harm you, so design your email line accordingly. However, if you follow our 7 steps and draw inspiration from our handpicked examples, you’ll be well on your way to a successful product launch!